This 5.5 acres has a wonderful location joining Patterson Addition subdivision. it borders the lake on one side, it also surrounds a home we have listed for sale making this property very appealing to the person interested in owning a newer home in Patterson Addition, Cave City, AR 72521with extra land that will have far less restrictions than the land included in the subdivision, this property is in Independence County, just on the south edge of Cave City. 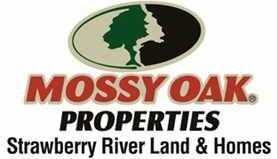 This property offers a perfect location in that it joins but is not part of the best kept subdivision in CaveCity AR.